First off: thank you Khatu for letting me guest post! I've been living vicariously through your travels -- I mean, how dreamy is Singapore? One of my bucket list locations, for sure. I'm Diana, and I write Dressed Up Alligators -- a fashion blog that focuses on mixing patterns and prints into my everyday look. Whenever I travel, whether it be a far away destination, or a quick weekend getaway, I want to look casual but cute. I always make sure I've packed my go-tos: something striped and something denim. Both result in easy, no brainer dressing that gets me out the door while still looking put together. 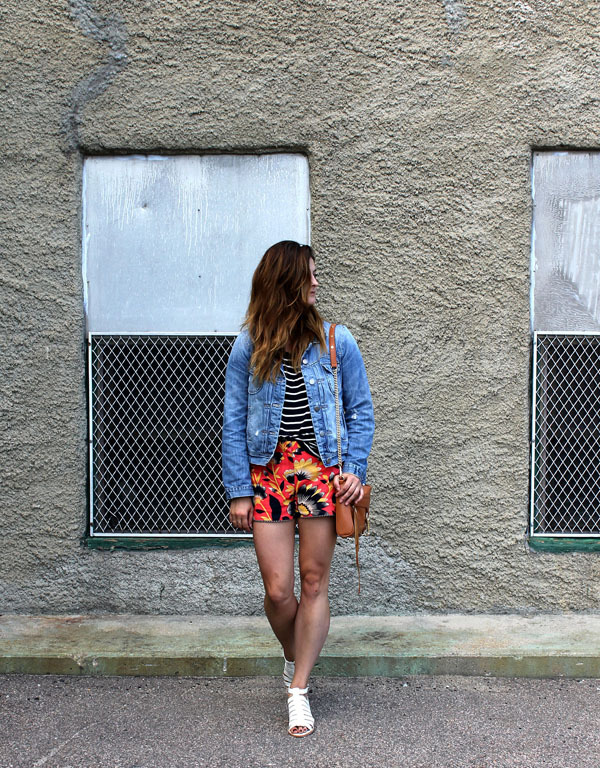 I love mixing stripes with an equally bold print -- the denim jacket and white sandals are the perfect finishing touches to ground this look. Plus these basics are so easy to mix and match with other pieces I pack. 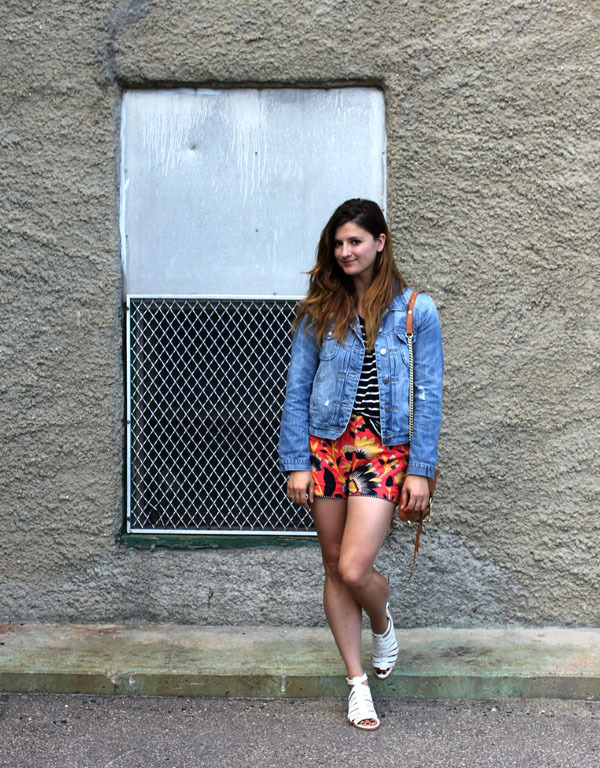 Check out Diana's blog for the outfit details! very cool. love dressed up alligators !